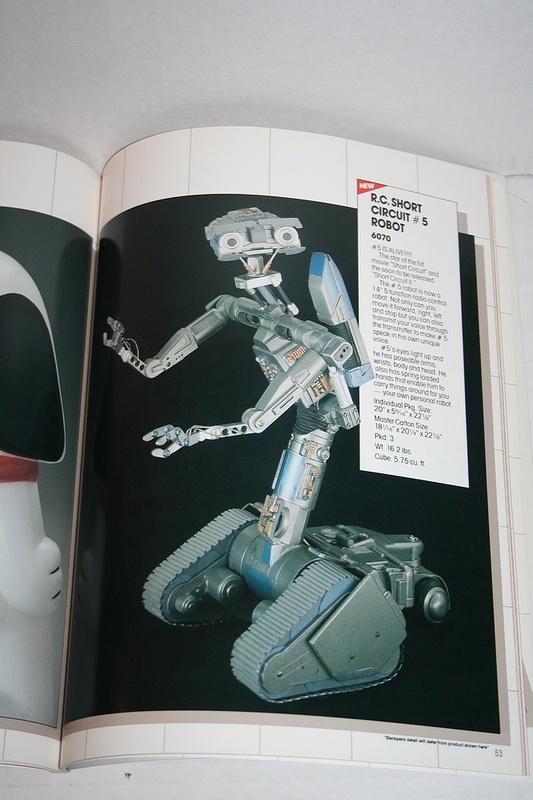 Though never produced, Matchbox showed off a remote control Johnny Five from the film Short Circuit in their 1988 catalog. The fact that there have never been any Short Circuit action figures makes me sad (aside from some unlicensed, high-cost pieces a few years back). If NECA can give us a Claptrap from Borderlands, why not a Johnny Five? NECA seems like the perfect company to do it – they’ve already shown a penchant for producing toys based on 1980s sci-fi properties (Gremlins, E.T., Predator, Aliens), and they’re willing to produce lines that only have a handful of figures in them (Evil Dead II, half of the Player Select licenses, etc.). I'd buy that. I was wondering a few weeks ago if they ever made a Johnny Five Figure. Also, I may have been bitten by the Godzilla bug because of you. Johnny-5s from the second movie forever. Right up there with a hoverboard (That Works!) and an Audry 2 (of any kind) from Little Shop Of Horrors as my most wanted ever. We need a mass email campaign or a petition or something to beg and plead NECA to make Johnny-5. I need some kind of figure or RC of him before I die.